» NIL: 12/23 WH SSgt John LaGiglia Warriors' Watch Riders: WE HAVE YOUR BACKS AT HOME! 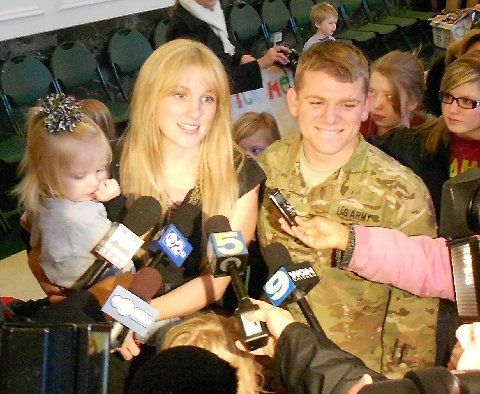 It started as a request to help welcome home the 882nd Military Police Company, stationed out of Arlington Heights, IL, but turned into a Christmas homecoming surprise no one would forget. 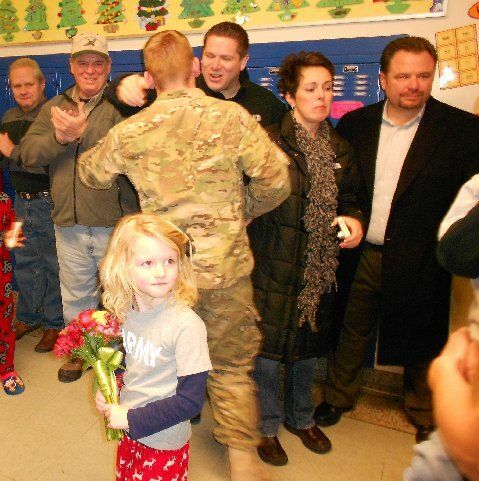 29-yr old SSgt John LaGiglia, returning from Afghanistan and his 2nd tour (his 1st was in Iraq) was planning to surprise his oldest daughter, Grace at her school on the south side of Chicago. His older brother, Joe enlisted our help. 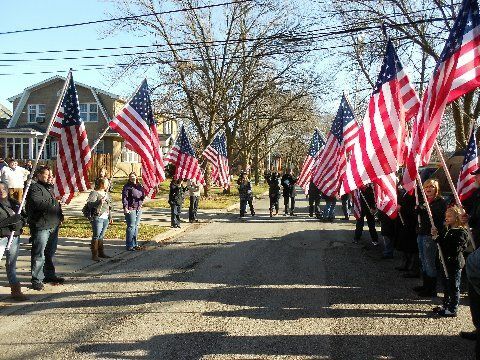 As John and his wife, “Mel” drove up to the school with their two younger boys in tow, they arrived to a flag line of WWR, friends and family, all recorded by our major news channels. After their arrival, the cameramen raced inside to set up for the surprise, so we took that opportunity to make our presentations to SSgt LaGiglia outside, amongst his family and friends. Inside the school, pandemonium was about to break out, as SSgt LaGiglia entered Grace’s classroom while the students of Sutherland Elementary School lined the halls chanting U-S-A, U-S-A, U-S-A. Thinking about it now, my screen seems a little blurry, so I’m going to end right here. Like I said, it was a Christmas homecoming surprise that no one will forget. No user commented in " NIL: 12/23 WH SSgt John LaGiglia "